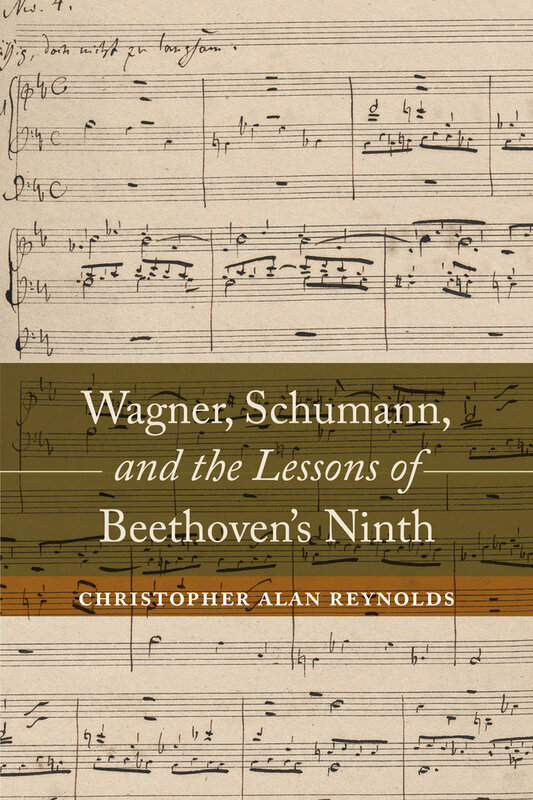 In this original study, Christopher Alan Reynolds examines the influence of Beethoven’s Ninth Symphony on two major nineteenth-century composers, Richard Wagner and Robert Schumann. During 1845–46 the compositional styles of Schumann and Wagner changed in a common direction, toward a style that was more contrapuntal, more densely motivic, and engaged in processes of thematic transformation. Reynolds shows that the stylistic advances that both composers made in Dresden in 1845–46 stemmed from a deepened understanding of Beethoven’s techniques and strategies in the Ninth Symphony. The evidence provided by their compositions from this pivotal year and the surrounding years suggests that they discussed Beethoven’s Ninth with each other in the months leading up to the performance of this work, which Wagner conducted on Palm Sunday in 1846. Two primary aspects that appear to have interested them both are Beethoven’s use of counterpoint involving contrary motion and his gradual development of the “Ode to Joy” melody through the preceding movements. 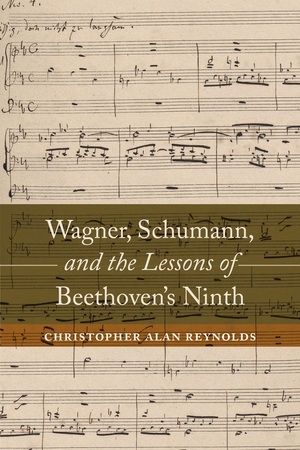 Combining a novel examination of the historical record with careful readings of the music, Reynolds adds further layers to this argument, speculating that Wagner and Schumann may not have come to these discoveries entirely independently of each other. The trail of influences that Reynolds explores extends back to the music of Bach and ahead to Tristan and Isolde, as well as to Brahms’s First Symphony. Christopher Alan Reynolds is Professor of Music at University of California, Davis, and author of Papal Patronage and the Music of St. Peter’s, 1380–1513 and Motives for Allusion: Context and Content in Nineteenth-Century Music (which was a finalist for the Otto Kinkeldey Award from the American Musicological Society in 2004). He is a past president of the American Musicological Society.